In recent years, ride sharing companies have become an increasingly popular way for people to get home from bars and nightclubs when they are too intoxicated to drive home. This is largely because of the expense of taking a taxicab and public transportation options being limited in the early morning hours in Boston. While many young people have chosen to take the T’s Night Owl bus home from the bars in Government Center at least once, the experience of being on a bus with 49 drunk people is not one many people care to repeat. br According to recent news feature from ABC News, Uber, a successful ridesharing firm, has tested a new program/marketing campaign where they operate kiosks that function as alcohol breath testing devices to tell people if they are too intoxicated to legally drive home. This program called “You Drink, We Drive” was first tested in Canada. The kiosk was designed to dispense a disposable straw into which the user must blow for six seconds. The device then uses what is either a gas chromatograph mass spectrometer (GCMS) device or an infrared mass spectrometer to calculate users blood alcohol content (BAC) and will display the result on the screen. If the system detects user to be over the applicable legal limit of consumption of alcohol, the system will automatically hail a driver and take user to his or her destination at no charge. This program is no longer in operation, as the trail period has ended. The company claims the test program was successful to reduce drunk driving, but they have not said whether it will be repeated in other cities or if there will be a charge for a ride in the future. While it is clearly not safe to drive a motor vehicle when you are at or above the legal limit for BAC, which as our Boston drunk driving accident lawyers can explain, is .08 grams of ethanol per hundred milliliters of blood, it does not mean it is safe to drive under some lower level of intoxication. 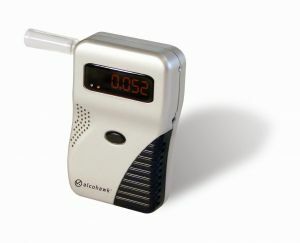 One problem with programs like the one mentioned in this article, or any of these portable breath testing devices available on the internet (aside from a potential lack of calibration and accuracy required for police breath testing equipment) is when a person blows under a 0.08, they believe it is both legal and safe for them to get behind the wheel of a car. In reality, both of these assumptions may be incorrect. First, the law in Massachusetts allows a person to be convicted of drunk driving even they are below the legal limit. It just means prosecutors must prove actual impairment rather than simply introduce a breath score into evidence at trial. With respect to safety, we have seen many drunk driving accidents where a person was too intoxicated drive a vehicle without causing serious personal injury, but still had a breath alcohol score lower than the legal limit in the Commonwealth of Massachusetts.